Ever done a good deed and then wished you hadn’t? Paul Marshallsea was signed off work with stress when he took a holiday to Australia with his wife. He achieved international fame when he rushed into the sea to wrestle a shark away from nearby children. Can he claim unfair dismissal? The employer is essentially alleging that Mr Marshallsea was lying about being too stressed to attend work. This is a type of misconduct dismissal. As such, the employer is required to follow the ACAS Code of Practice on Disciplinary Procedures. It seems they didn’t do this, which means that an employment tribunal will almost certainly say it’s unfair. The minimum length of service for claiming unfair dismissal is two years (or one year for anyone who started before the 1st April 2012). There are conflicting news reports about how long Mr Marshallsea was employed for. However, the BBC reports that he was employed for 10 years and so an unfair dismissal claim looks likely to succeed. Does the employer have a defence? 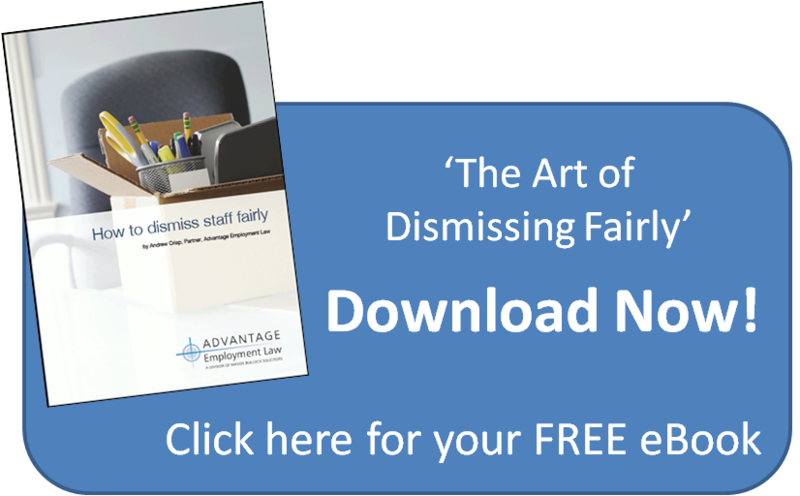 Although a tribunal will almost certainly say that the dismissal was unfair, the employer may be able to argue that if they had followed a fair procedure they could have dismissed him fairly anyway. In other words, they got the procedure wrong but it made no difference. If they can prove that, then any damages award will be significantly reduced. However, it’s unlikely that the employer will be able to show this. There is no law against an employee going on holiday whilst on sick leave. The doctor had signed him off with work related stress and had apparently advised him to take a holiday. Employment tribunals don’t like employers who think they know better than the doctor. If something seems fishy and you’re thinking about telling one of your staff to sling their hook, take care or you could end up in deep water. Feeling all at sea when it comes to employment law? Give me a call on 01604 601 575 and I’ll help you to escape the jaws of an expensive tribunal claim. Previous Entry: Coming Soon . . . Mix and Match Time Off for Mums and Dads!